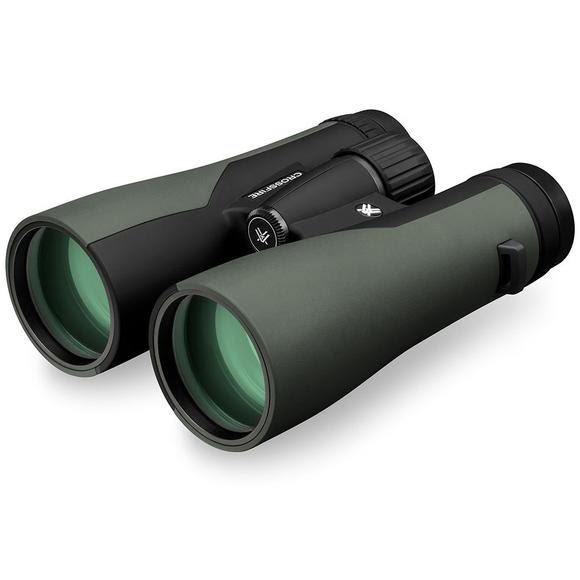 Need a quality, performance-driven binocular that won't break the bank? Enter the all-new Vortex Crossfire series-an entirely new optical system, housing, and aesthetic push into a realm previously unheard of at this price point. Fully multi-coated lenses promote impressive optical quality, while a wide field of view and enhanced depth of field ensure optimal subject acquisition. Need a quality, performance-driven binocular that won&apos;t break the bank? Enter the all-new Vortex Crossfire series-an entirely new optical system, housing, and aesthetic push into a realm previously unheard of at this price point. Fully multi-coated lenses promote impressive optical quality, while a wide field of view and enhanced depth of field ensure optimal subject acquisition. They may be the entry point in our roof prism lineup, but there is nothing entry-level about these binoculars. Adjusts for differences in a user&apos;s eyes. Located on the right eyepiece.